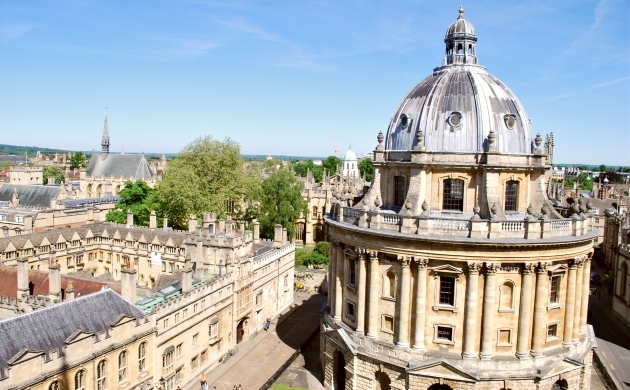 University Colleges – The University of Oxford is made up of 38 separate colleges. 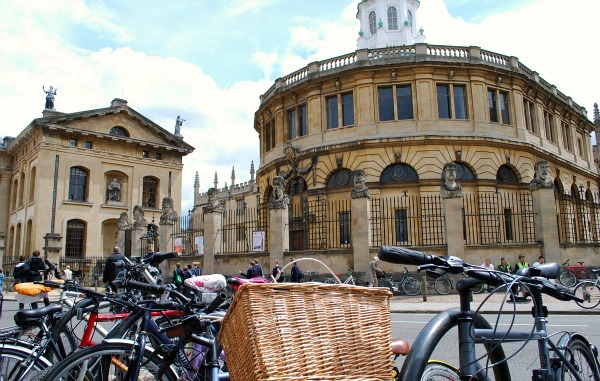 Each of them has a wealth of history, some dating back hundreds of years, but they also all have their own campuses which are spread all over Oxford city centre. 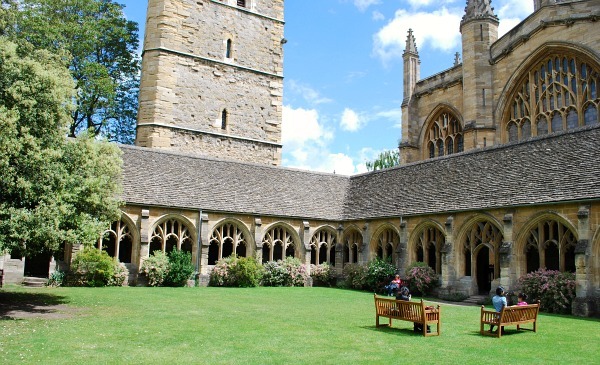 They generally look quite similar in design, consisting of a quadrangle surrounded by buildings which contain residential accommodation for the students, offices for the staff, a chapel and a dining hall. Many of the colleges are open to the public at certain times of day and we enjoyed walking around them. You can also admire many of the collages without going inside, so walk under the ‘Bridge of Sighs’ at Hertford College and peep through the metal gates of Trinity College to get a good view of the gardens. Harry Potter’s Oxford – There are a number of locations around Oxford that have been used for the filming of the Harry Potter movie series. Some you will recognise instantly and others were the inspiration for sets in the films. They include the location for the Hogwart’s infirmary and the Hogwart’s library. 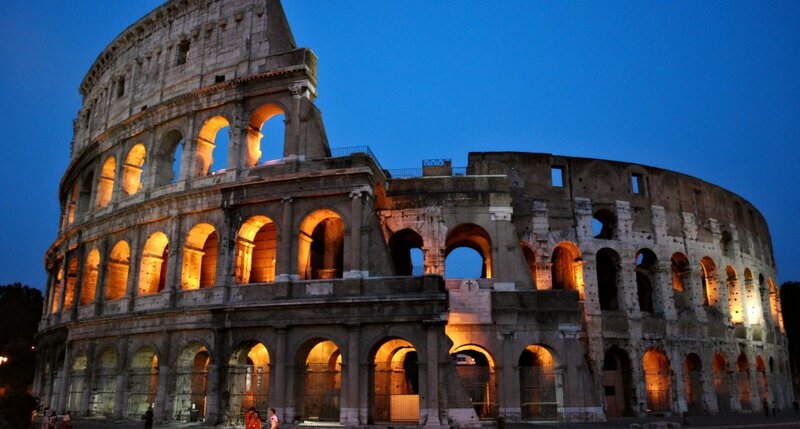 This is our guide to some of the most significant filming locations. The Bodleian Library – Did you know, the Bodleian library receives a copy of every single book that is published in Britain? The question is, where are they all stored when all you can see in Oxford are a small number of beautiful historic buildings? The answer is – underground! There are several tours you can take at the library but the one you’ll get the most out of includes the trip underground to the storage areas below the streets of Oxford. Apart from the books at the library there are two more locations that doubled as Hogwart’s in the Harry Potter movies. 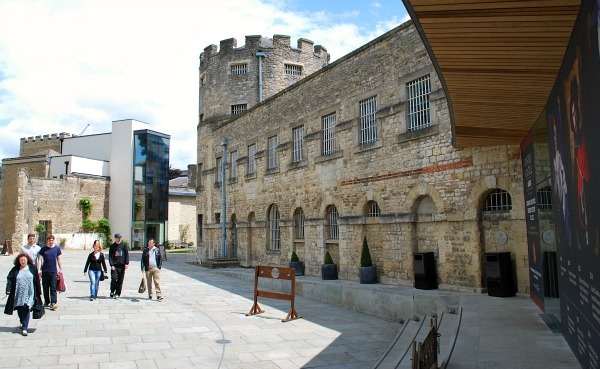 Oxford Castle & Prison – Up until the mid 1990s, Oxford Castle Prison was still in use, but its history goes much further back than that. 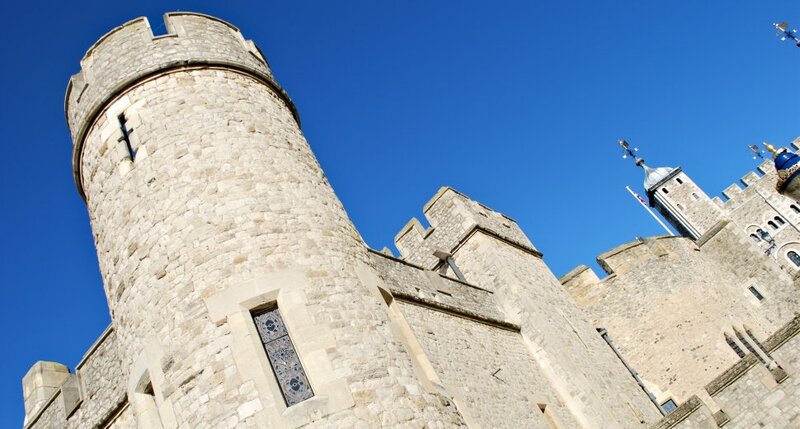 The tower which overshadows the site is said to be the oldest building in Oxford and if you visit the Oxford Castle & Prison attraction, you’ll get a taste of what prison life was like. You’ll see the old tower, the crypt under the former chapel and then the old cells themselves. Although there are only these three main areas to visit, the experience was made well worth it by the performance of the guide. 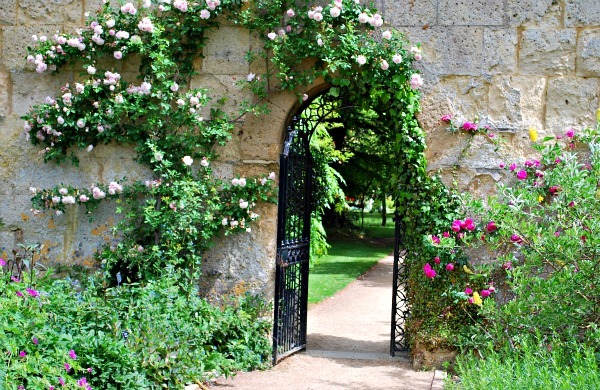 Oxford Botanic Garden – This is Britain’s oldest Botanical garden and it is bordered on one side by the River Cherwell. When you visit you’ll not only see an exceptional range of plants and trees, but there will be boats or punts floating past too. There are several points of interest including the glass houses, conservatory, rock garden, vegetable areas and formal gardens. This is also one of the many locations in Oxford where a dead body has been found for the British TV detective drama ‘Lewis’ and one of the murder suspects was the keeper of the garden! 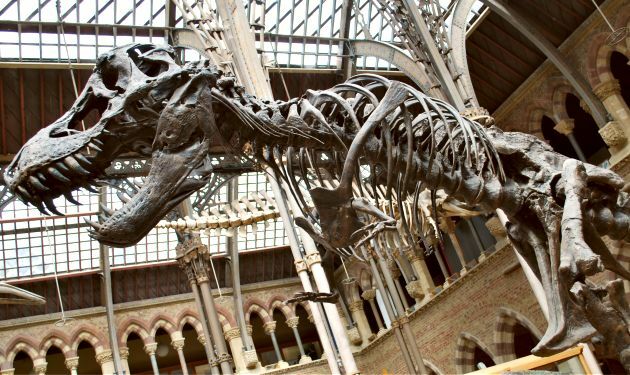 Oxford Natural History Museum & Pitt Rivers Museum – These two museums sit side by side in adjoining buildings and offer fantastic exhibits about the world around us. In the Natural History site, you can see the ‘Oxford Dodo’ and meet dinosaurs that roamed Oxfordshire millions of years ago. The Pitt Rivers Museum has an incredible array of objects from everyday life around the world, displayed in cases over several floors. 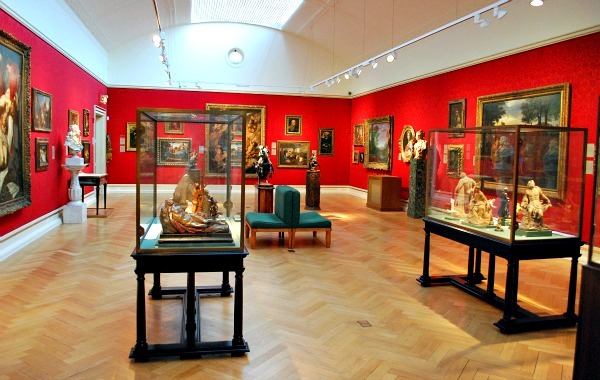 The Ashmolean – Probably Oxford’s most significant museum with exhibits based on art and archaeology inside a beautiful column-fronted building in the city centre. The museum had a modern extension in 2009 and this has created a lovely atrium at the centre of the building with the various floors full of exhibits fanning out from the centre. 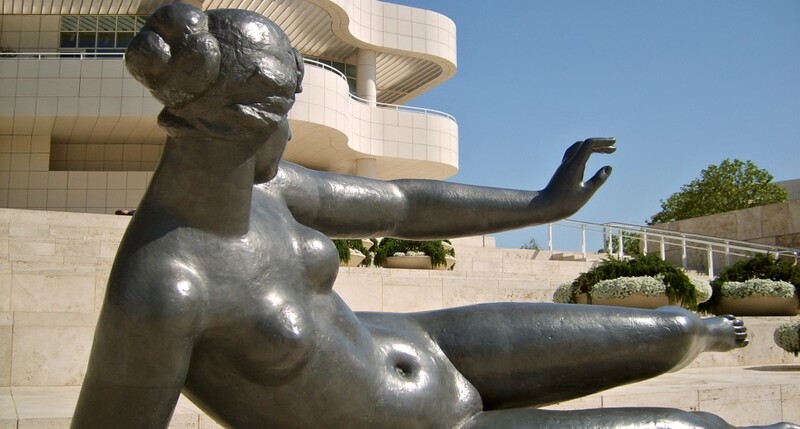 As the museum is free, you can very much take what you want from your visit, so you could be in there for a few minutes or for several hours, depending on your interests. We liked the art collection, the musical instruments and some of the Roman artefacts best. 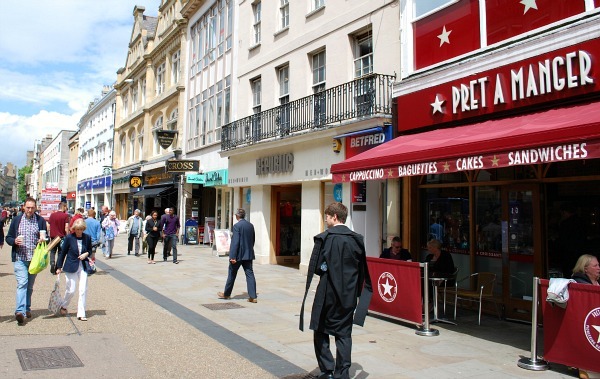 Oxford Shopping – Oxford has several busy shopping streets along with the newly redeveloped Westgate shopping centre near the Castle and a modern arcade which links the two main streets. 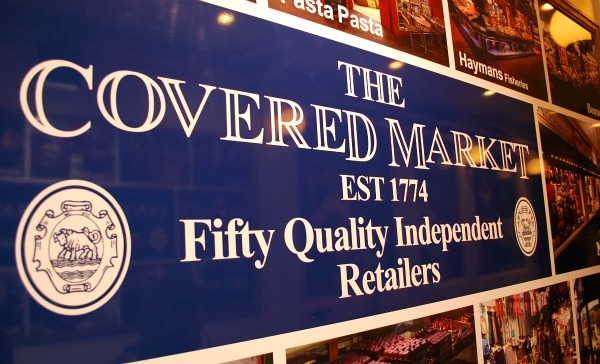 There is a good mix of well-known chain stores and smaller independent stores too. Oxford Covered Market – The historic covered market in the centre of Oxford dates back to the 1770s. If you want shopping with character in Oxford, this is where you should come! There’s something for everyone here and it feels like its evolved into a place to buy quality products and produce, not cheap tat. The market is also home to some of Oxford’s smartest public toilets with fresh flowers in them! Boating in Oxford – Whilst the students of Oxford are best known for the their rowing, you may prefer something a bit more leisurely and the River Cherwell is an ideal place to go punting as it’s a clam, slow flowing tributary for the Thames. 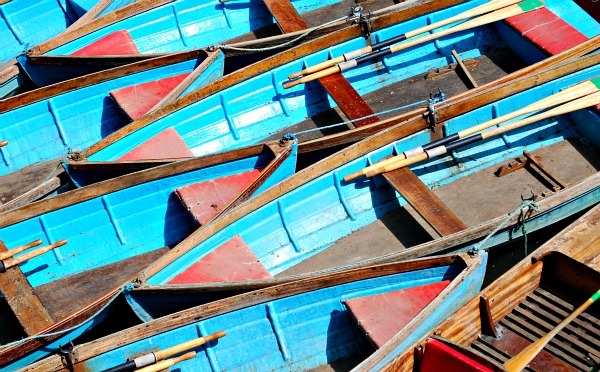 You can hire a traditional rowing boat instead if you want, or head to the Thames itself where you can have someone else do the driving and take a 40 minute leisure cruise from Folly Bridge. 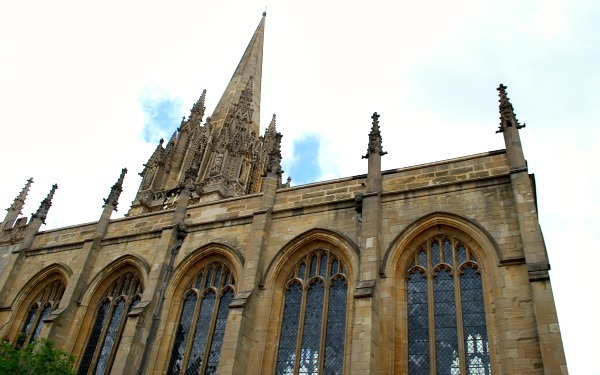 University Church of St Mary the Virgin – There are several towers you can climb in Oxford to look at the city of spires, but we think this is the one with the best view. The church itself is worth visiting too as it’s been here for so many years that the colleges were established around it. John Wesley even preached here in 1741! Even if churches aren’t your thing, you can still pop into the cafe which is located in the attractive vaults. 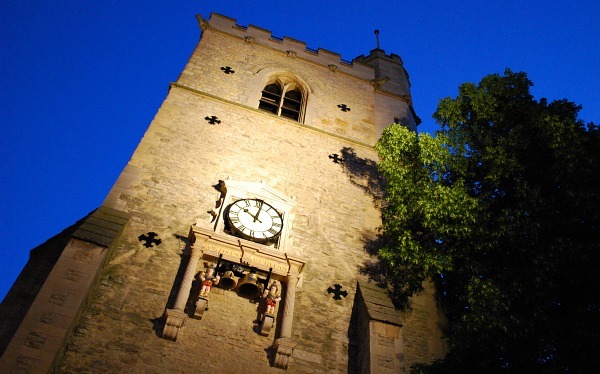 Carfax Tower – This tower has the second best view in Oxford after the University Church of St Mary. 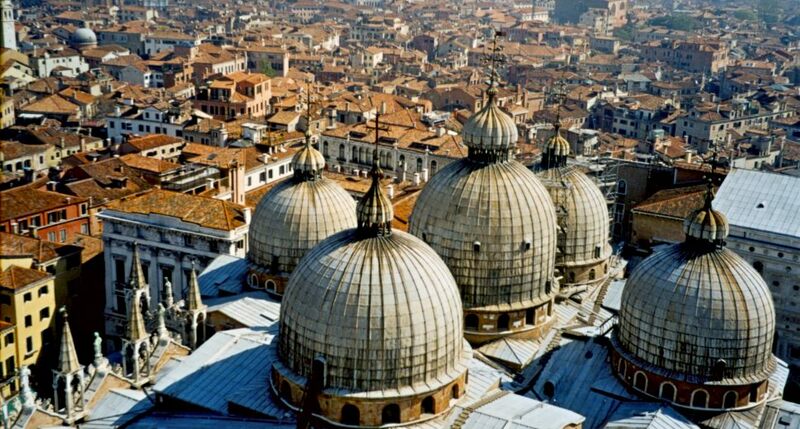 At the top, you’ll see the historic spires and domes of the city in the background with the shopping streets in the foreground. You do get a better view of Christ Church College from this tower, but for us it’s not a patch on St Mary’s tower nearby. Half way up, there’s an information room with a short video about the tower and Oxford. Oxford Pubs – If you want to visit a traditional English pub, then there are some great ones in Oxford with significant histories attached to them. In particular, the oldest pub, the Bear Inn where in times gone by they’d snip off your tie if you visited whilst wearing one. The pub dates back to 1242 and today has a great combination of real ales and home cooked food. 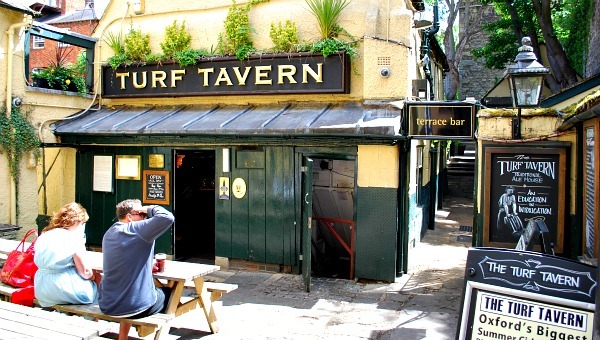 Other pubs worth a visit include the Turf Tavern which is hidden up a back-alley, the White Horse on Broad Street which was a favourite of Inspector Morse and the Eagle & Child (also known as the Bird & Baby) where CS Lewis and JRR Tolkein used to hang out. Blenheim Palace – A short drive or bus ride out of Oxford city centre will get you to one of the most impressive stately homes in Britain. 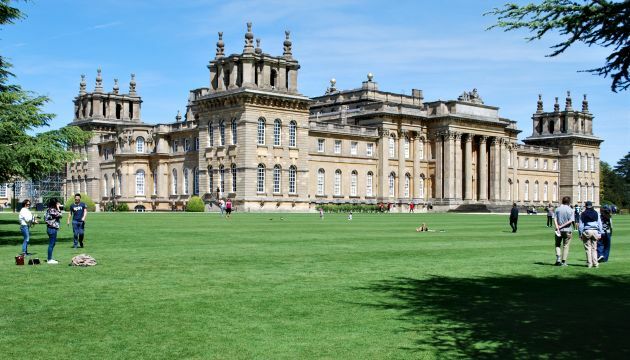 Blenheim is set in a large landscaped park and there’s plenty to do and see. There’s 300 years of history here and it’s best known as being the birthplace of Winston Churchill. On a visit here you’ll see the state rooms, Italian garden, pleasure gardens, the historic bridge and a lovely chapel but be prepared for the hefty admission price. 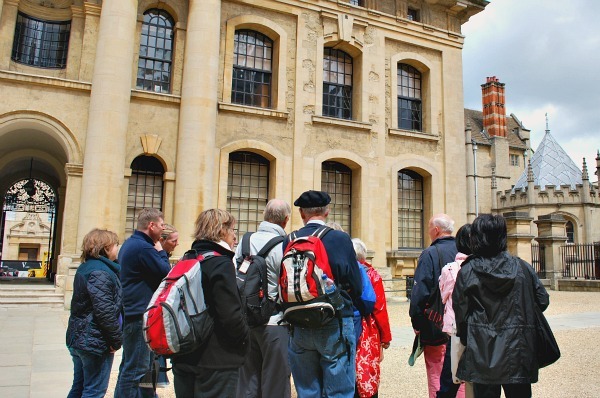 Walking Tours – Oxford is quite a compact city with all the main sights in easy reach of each other. 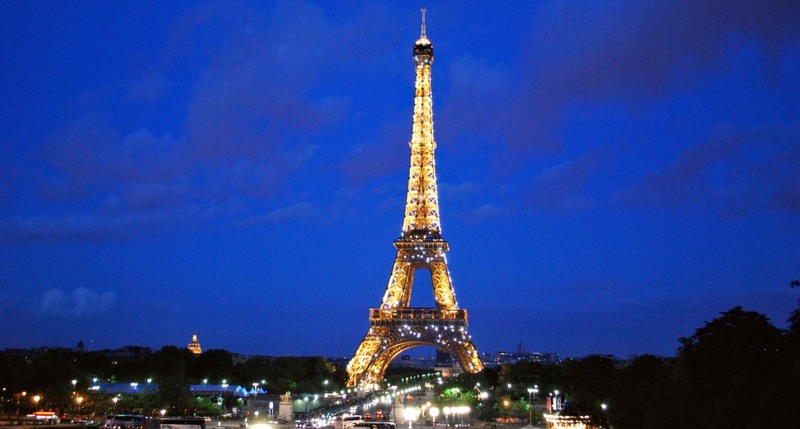 As such, a perfect way to be introduced to it is to take one of the many walking tours on offer. Some are ‘official’ others are ‘unofficial and some are even free (although tips are expected). We ended up on the “University and City Walking Tour” and it was a great way to see Oxford. 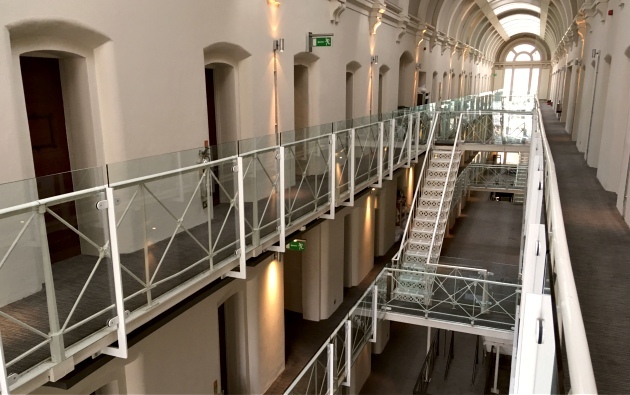 We stayed at the Malmaison Oxford which is based inside the former prison. You can request a ‘cell room’ to get the full prison experience and we’d thoroughly recommend it. You’ll be staying in the height of luxury, just with some bars left on the windows! 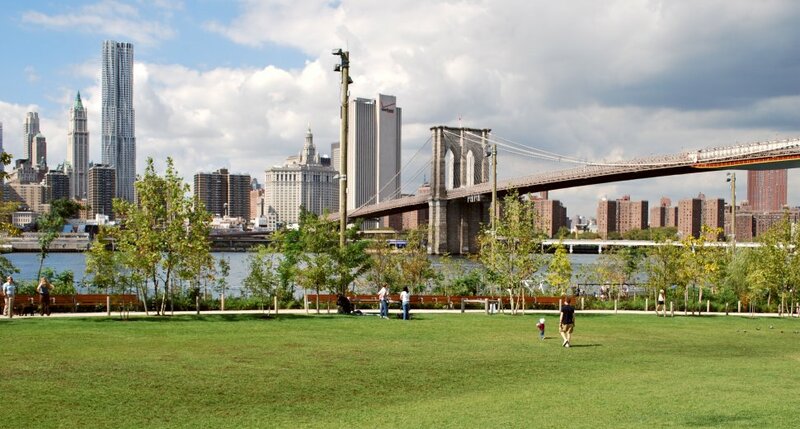 It’s a real experience and you get a sense of the history of the place too. Don’t forget to visit the original cell just along from the bar area to get a feel for how the visitors of the past spent their nights here. Talking of the past we have also stayed at the Oxford Spires Four Pillars Hotel which is more affordable and is a short walk from the city centre. It’s also on a bus route if you don’t want to walk, but we enjoyed the stroll along the River Thames to get into the city centre. The hotel is modern and as such all the facilities are up to date including a nice swimming pool and gym. Overall, it was a good base for a city break. 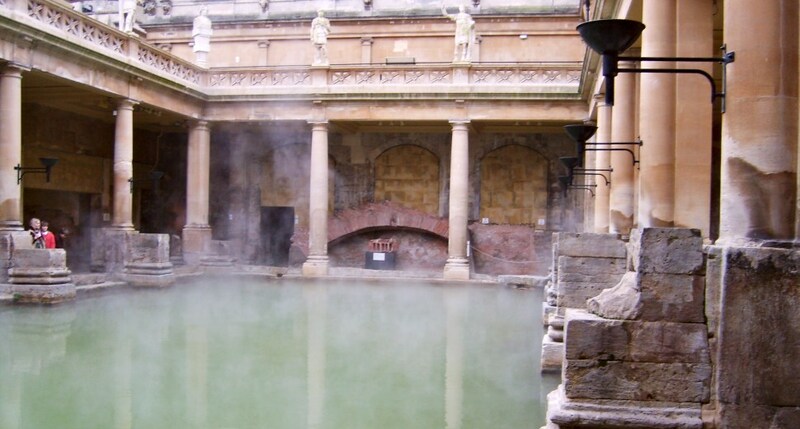 Oxford is a compact city and all the major sights are within walking distance of each other. We did take the Hop-on, Hop-off Bus Tour which was informative and took the strain off our legs for a while, but if you have a city centre hotel, you won’t need to pay for any other transport. 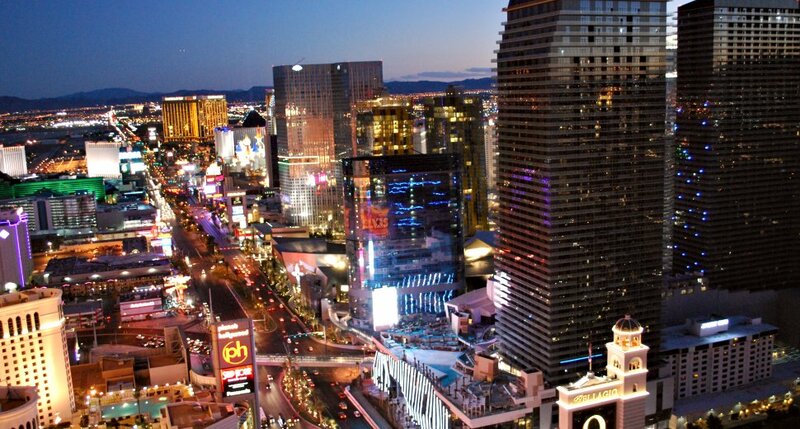 If you do need to use a bus for your hotel, the services are frequent and efficient. The bus fare from the city centre to our hotel (above) was £1.